"Ask not what your community can do for you - Ask what you can do for your community." The B'nai B'rith Anti-Defamation Commission (ADC) is an Australian Jewish community organisation whose mission is to fight anti-Semitism and all forms of racism, and promote and cultivate respect and understanding between people of all religions and backgrounds. Our objective is to provide on average two monthly day walks (within 1 to 1ֲ½ hours' drive from Melbourne) to members, friends and visitors who enjoy the environment and the physical exercise. We also have an under 50's group where supervised children may also participate with their parents. 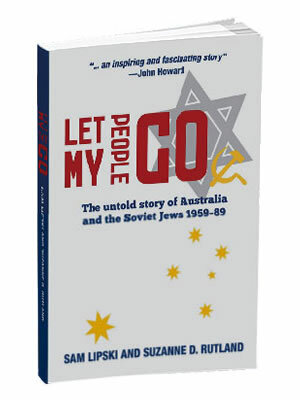 Descendants of the Shoah Inc. began in Melbourne, Australia in 1991 as a group of sons and daughters of Holocaust survivors wanting to explore their parent's experiences, the similarities in their childhoods and how this would affect their own children, the third generation. JEMP is a community-based emergency management plan coinciding with the State's Emergency Management Manual Victoria. Run by the Victorian Jewish community to provide a coordinated planning, response and recovery phase for major emergencies affecting the Victorian Jewish community whether the incident is local or abroad. JECO was set up to emphasise and deepen the Jewish commitment to sustainability and to raise awareness within and beyond the Jewish community about Judaism's strong environmental message. Maccabi Australia together with our member States and affiliated Clubs exist to promote Jewish identity and continuity ג€“ connecting our Jewish community through sport. Shul and community centre for Melbourne's north eastern suburbs. The work of UIA deals with aliyah (immigration) and klita (absorption), education, and support for Israel's most disadvantaged youth. WIZO, the Women's International Zionist Organisation, is a non-party international movement dedicated to the advancement of the status of women, welfare of all sectors of Israeli society and encouragement of Jewish education in Israel and the Diaspora. To promote and communicate Israel's interests within the broader Victorian community and to promote Victoria's relationship with Israel. Mandelbaum House is the University of Sydney's newest (opened in 1996), smallest (38 students) and only kosher residential college. NSW Association of Jewish Ex-Servicemen & Women (NAJEX) is one of the oldest Jewish organisations in Australia. Founded in 1920 its purpose is to perpetuate the memory and deeds of those Jews who served in Australia's armed forces from the time of the Sudan Campaign right up to Afghanistan. The Women's International Zionist Organisation, is a non-party international movement dedicated to the welfare of all sectors of Israeli society.